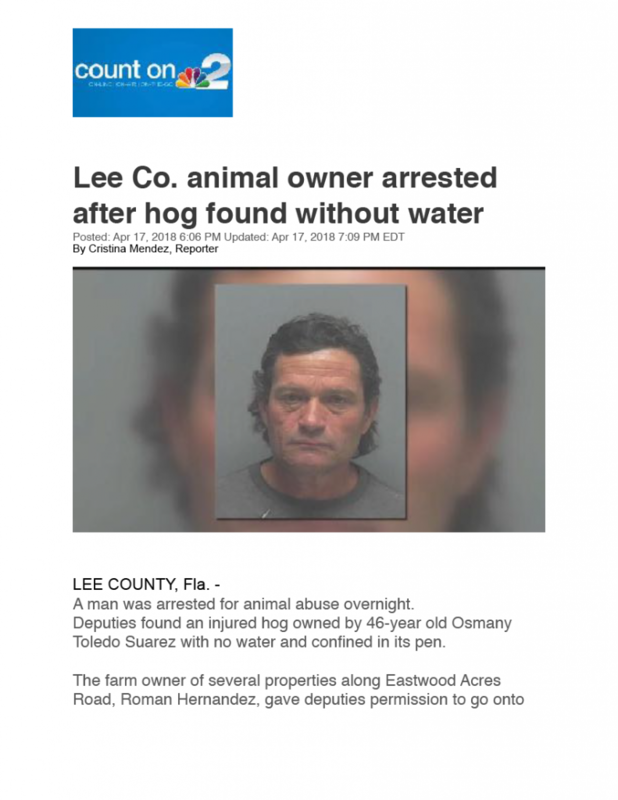 On April 16th, 2018, the first arrest of what ARM hopes that many will follow, was executed by the Lee County Sheriff’s Department. 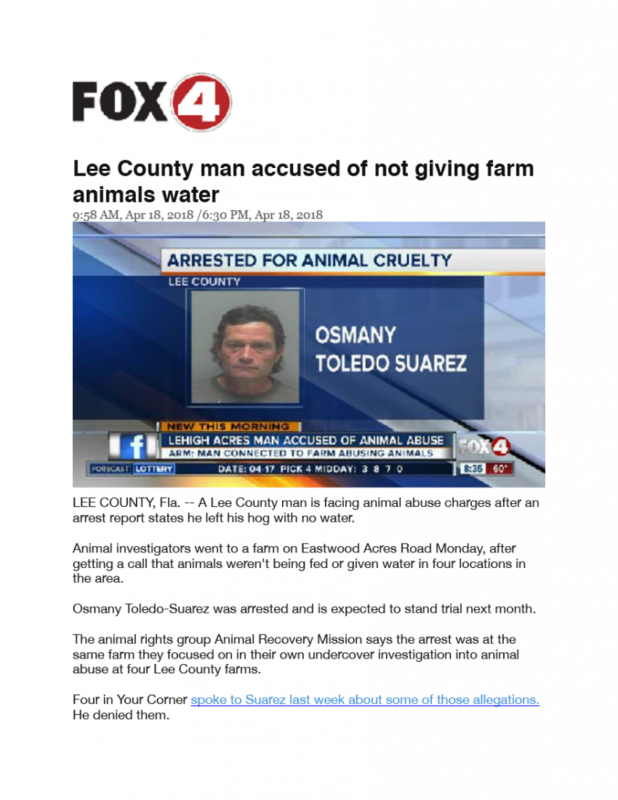 Osmany Toledo Suarez, one of the main butchers, was charged with one count of animal cruelty for the Abandonment/Confinement without Food, Water or Exercise. 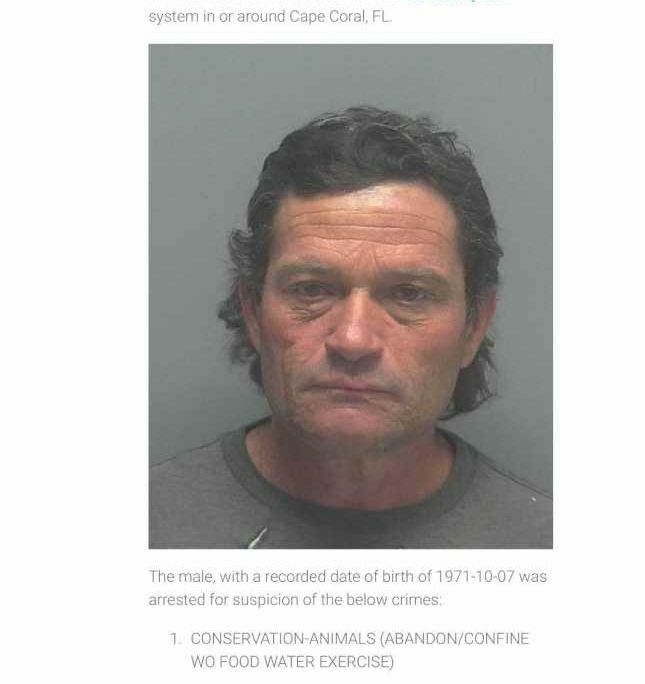 With a $1,500 bond, he was bailed out within 24 hours. 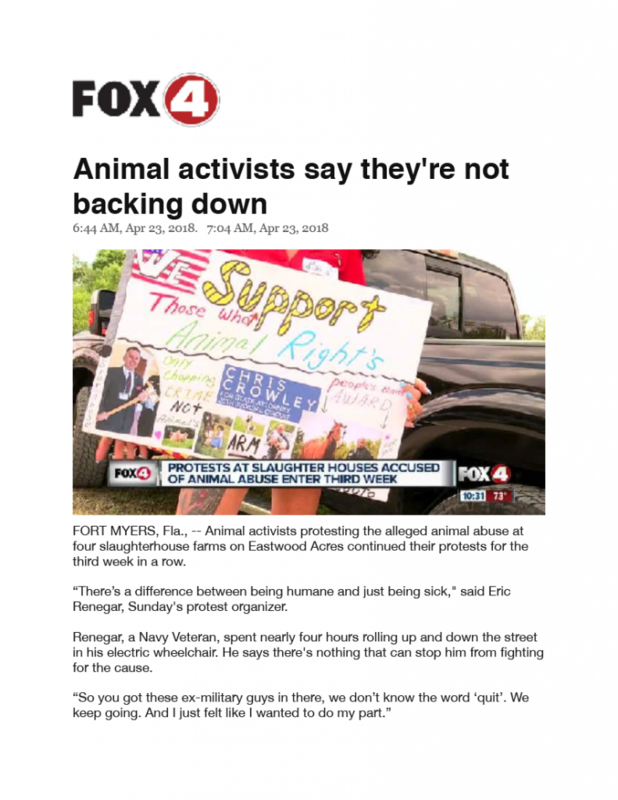 Whilst an arrest is good news to ARM, it is also frustrating to the organization that such a minor charge was placed on one of the most violent animal abusers that ARM documented during its investigations of four illegal animal slaughter farms, located on Eastwood Acres Rd, Ft Myers, Florida. 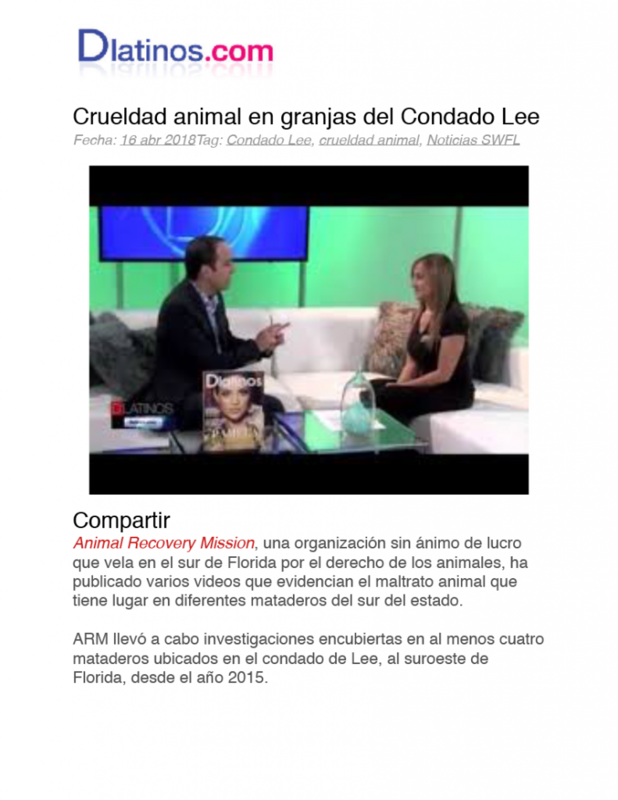 ARM is still asking for the 30 plus animal cruelty charges upon Suarez alone, as well as the remaining animal killers and abusers that were documented throughout ARM’s three year undercover investigation. 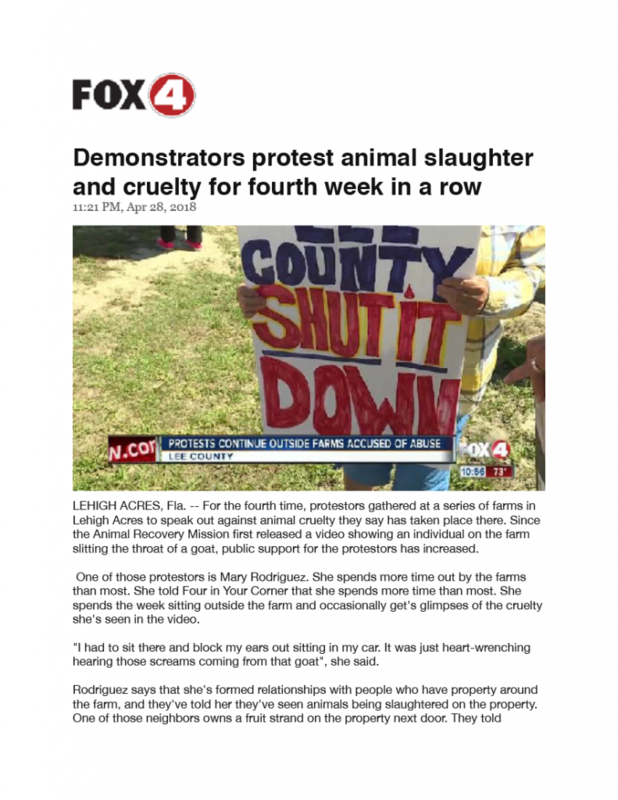 ARM’s Lee County investigation has also sparked public outrage that has led to protest that will continue until the appropriate action is taken by enforcement agencies. 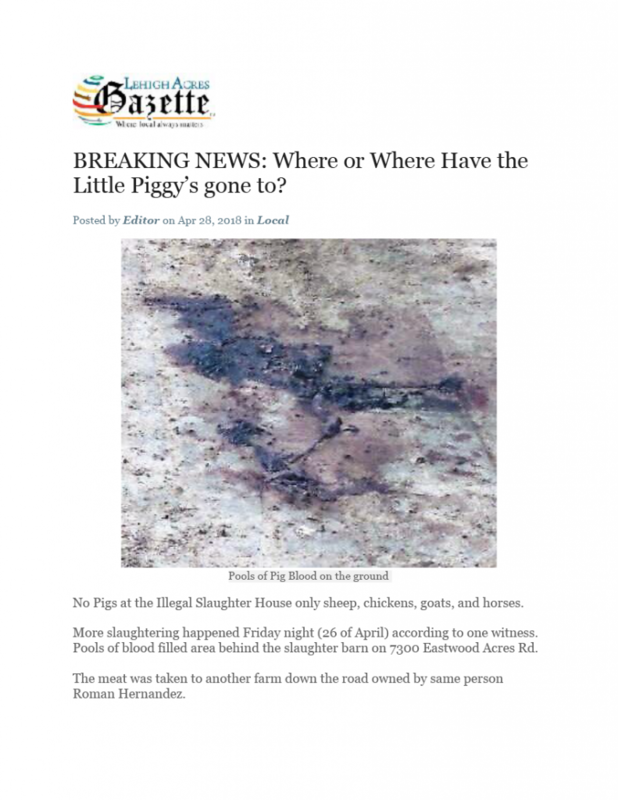 The United States Department of Agriculture announced Tuesday it will review the allegations in Lee County. 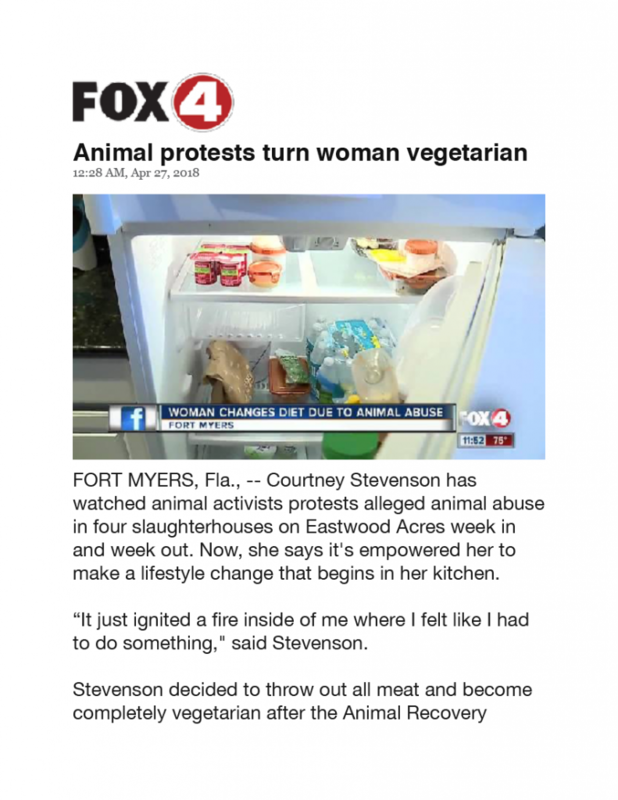 Please also sign our petition here: and make your voices heard to the elected officials and departments that are currently in place to protect their community against crimes against both their citizens and their animals.